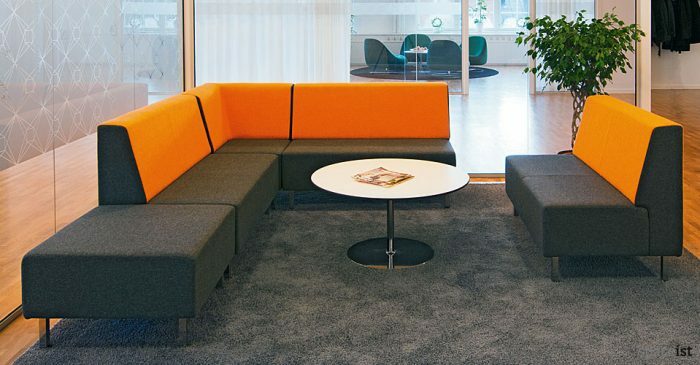 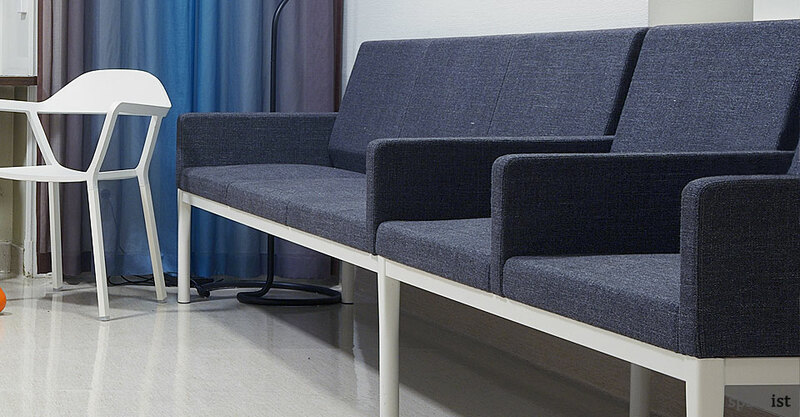 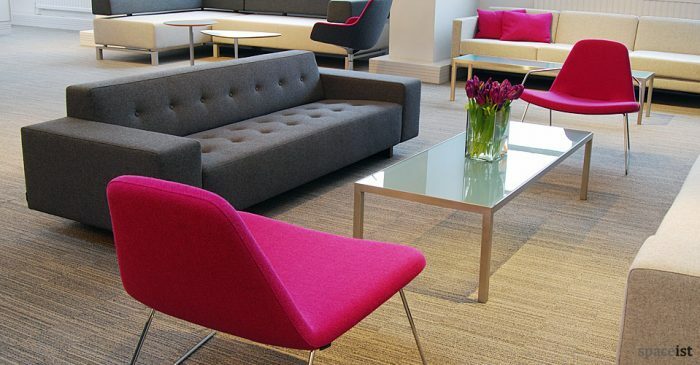 The Reform modular sofa is suitable for doctor, clinic or dentist reception rooms. 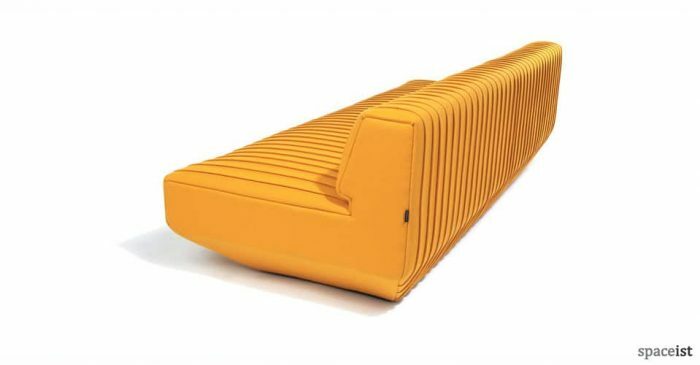 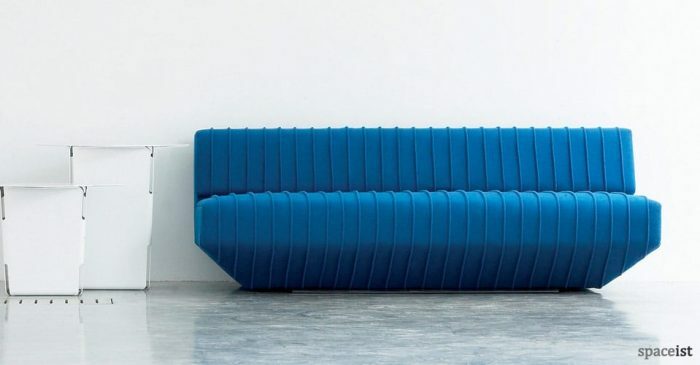 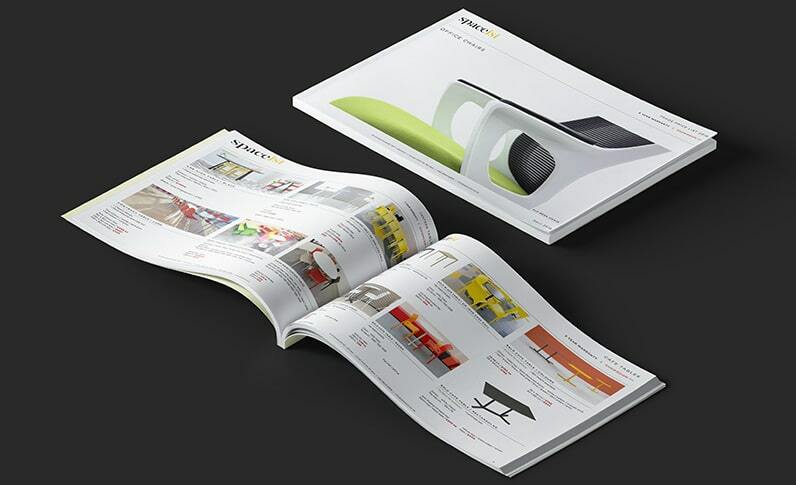 The modular sofa is made up of 60cm units plus a 5cm arm and can be joined together to form a long or short sofa. 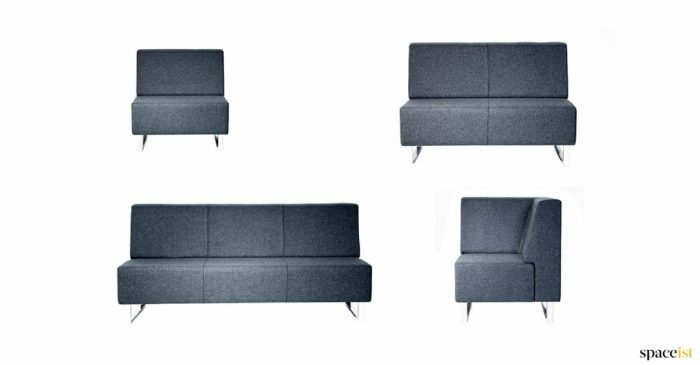 The sofa pictured on the left is 325cm long which includes five seats + five arms. The right is 320cm long and includes five seats + four arms. 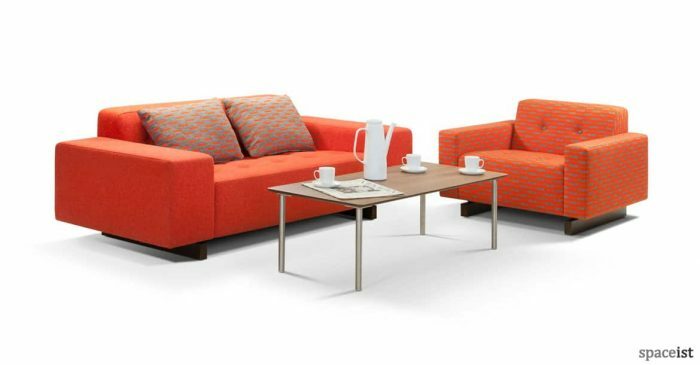 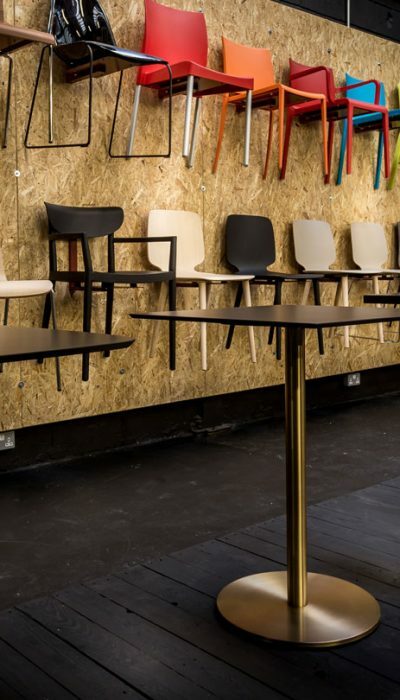 Seat and arm can be upholstered in fabric (60 colours), antibacterial faux leather (60 colours) or leather. 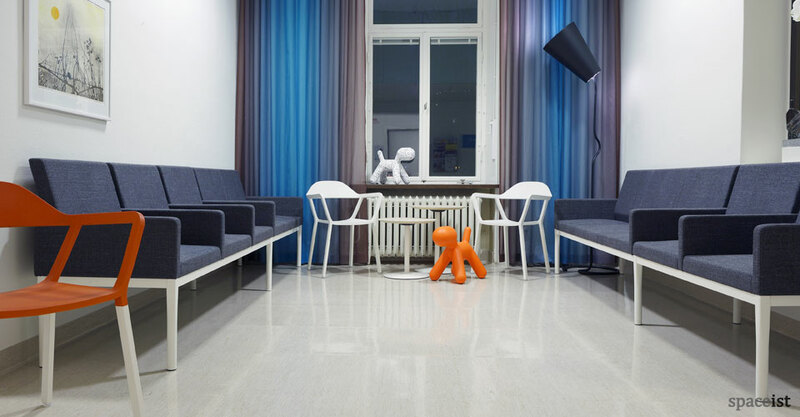 Base comes in white or a two tone white and wood finish.